As schools and districts move to 1:1 computing and personalized learning environments, concerns about open access to resources are sometimes voiced by educators and the school community. While many educators are asking for less restrictive filtering and access to tools, other educators are concerned that too much open access will make classroom management more difficult. In addition to educator concerns, district and state policies often prevent the open access that’s needed for a blended model to be successful. To maximize the use of devices and digital tools, we need to embrace the concept that open is better than closed. Many schools continue to have policies which prohibit students from using cell phones or personal devices in class. If you’re unable to provide every student with a device, a change in policy will enable students to use their phones and personal devices for class work. A change like this will bring about new challenges including filtering and managing personal devices but these challenges are well worth addressing. While CIPA regulations require schools to provide website filtering, the extent to which content is filtered is decided by schools and districts. Sites like YouTube which provide a wealth of learning materials are often blocked out of concern that students will access inappropriate content or be distracted from learning. To the contrary, the content on YouTube is often one of the primary tools used by teachers in a blended learning environment. Others argue that existing bandwidth will be maxed out if everyone has access to streaming media. These concerns can be addressed by opening access for a limited time and evaluating the pilot. Social media tools make it possible for students to connect with other students and experts from around the world. By blocking all social media tools, we’re not giving our students an opportunity to learn digital citizenship skills. Video conferencing tools like Google Hangouts and Skype offer a wonderful way to connect learners. By strategically opening up a few social media tools for communication and collaboration, schools can help students to develop 21st century skills. Students with special needs have a need for additional resources to support their learning. Assistive technology tools for devices as well as apps that enhance the student experience enable students to fully participate in classroom activities and complete assignments. Last summer, I was introduced to a high school student who told me that device policies prevented her from downloading the software and apps that she needed to be fully engaged in class activities and assignments. To learn how you help your students, include them in focus groups to learn how you can better meet their needs. 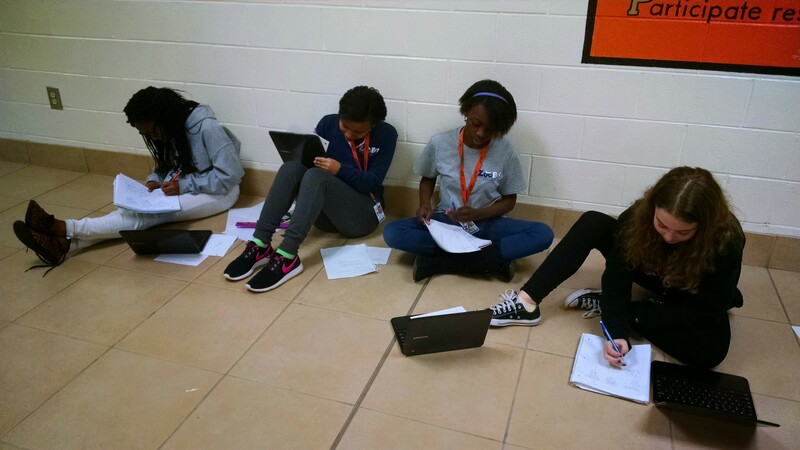 In addition to providing open access to tools and resources, educators should work with school leadership to provide students with access to freely move around and outside the building to work in teams and individually on assignments. Classroom space is often limited for students who need to work together or need access to additional resources and planning space. To get started on your journey to provide students with open access, connect with other like-minded educators through social media and develop a professional learning community with other educators in your school. Showcase your success and work with leadership to change policies and procedures that restrict student learning.